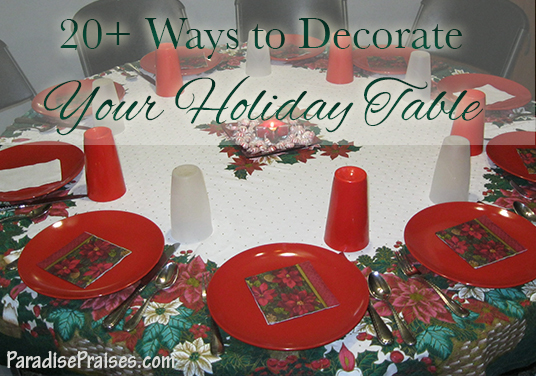 I am always looking for new, fun and simple things to do to dress up the house and table for the holidays. If you're hosting the family holiday dinner this year or just need to come up with a pretty focal point for your table or mantel – don't worry, even the craft-challenged can make a beautiful Christmas centerpiece with these simple yet stunning ideas. You have them for your tree; use them on your table as well. Stack some shiny ornaments decoratively together with some glue, add some sprigs of pine to it for a more festive put together look (perhaps to hide some of the glue), and place it in a festive bowl at the center of your table. Surround it with some candlesticks adorned with some ornaments to add to the elegance of it all. Run a strip of ribbon down the center of your tablecloth and place matching vases on the table with some holly, poinsettia or Christmas colored flowers. Tie a piece of the same kind of ribbon you have going down the center of your table around the vases. This will help bring it all together. If you’re table is more of a buffet table, on a wall, near an electrical outlet, you could also string small white Christmas lights down the center w/the ribbon to add a touch of charm. Don't you love paper dolls? You know the ones where you fold up a piece of paper and carefully cut out the shape of a doll, but leave the hands uncut and when you unfold the paper you have a long string of dolls holding hands? Well, instead of cutting dolls, why not try doing the same thing with a Christmas tree. Don't worry if you can't draw because there are plenty of Christmas tree stencils you can get your hands on to make your festive paper tree chain. Just don't forget the tree stand so it can stand on your table. Since Christmas and gifts go hand in hand, another cute idea for your centerpiece is stacked boxes of varying sizes and color/design. Make a tower of beautifully wrapped boxes and place it on the table, mantle or on top of a cake stand (don't go too high on the table, you want your guests to be able to see each other across the table and you don't want it toppling down either). Top it with a beautiful flowing Christmas bow. Do you have a more rustic table? Then go outside and gather up some twigs from the yard. 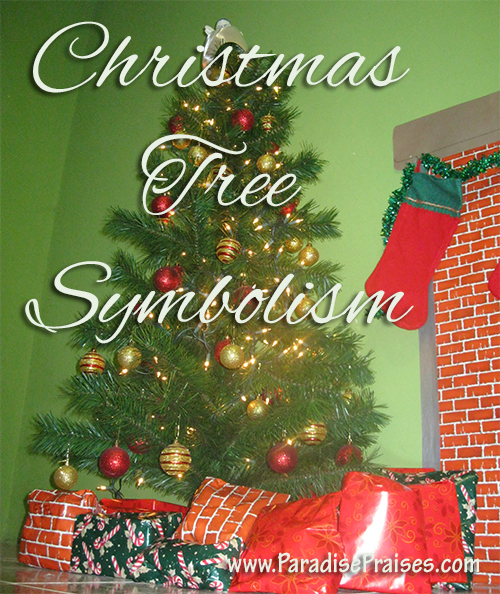 Place them in a glass pitcher or vase and hang some Christmas cards or ornaments from the twigs. This is more bringing the outdoors in: You can make a wreath out of pine cones or spray paint them either gold or silver or white to appear as if they have snow on them. If you’re really brave you can try dusting them with glitter while the paint is still wet. Then just arrange them neatly in a bowl. If you don’t have pine cones in your yard, many craft stores have them at this time of year. At some craft stores, you can find them already painted or scented. But if you want to add the scent yourself, you can add a couple drops of essential oils to make them smell like Christmas! My favorite for this is Thieves, Orange, Cloves, Cinnamon, or Frankinsence. These are fun to make and can really dress up a table when placed over a solid colored dark tablecloth. All it takes is a pattern, white paper, scissors and tape. Get a printable pattern here to make your own! Do you remember those big bulbs we used to have on our Christmas tree or along the roof of the house when we were kids? The ones that got super hot to touch and were probably a major fire hazard? Well, if you happen to have some of those large bulbs lying around (or you can buy some now that look like the old ones, but don’t get as hot), then take those bulbs and put them in a clear bowl or large-mouthed vase. Place a large candle in the center for added effect and there you go, instant centerpiece. 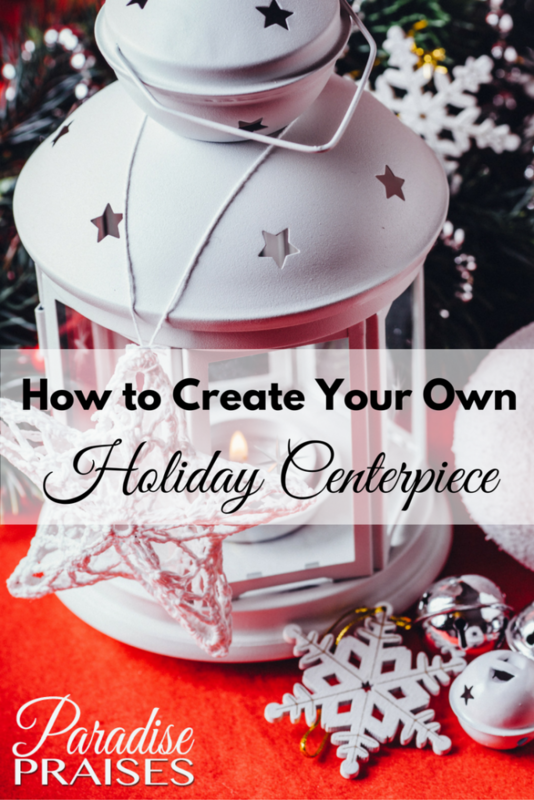 Christmas centerpieces are fun and festive and can be really easy to make. So easy in fact that many times it's just a matter of tossing whatever you have that's festive in the house into a bowl and adding a few simple ribbon or candle accents to it. No need to buy something special to adorn your table this year. You can easily do it yourself with some of these fun ideas. And it’s easy to include the kids in creating something like this too! You could even make it a game or a contest! 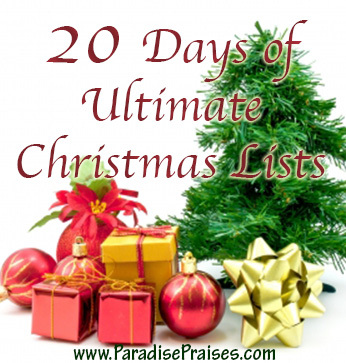 You can see photos of all of these ideas and more on our Christmas Pinterest Boards. Be sure to follow those boards because we’ll be adding lots more fun, frugal, festiveness as Christmas gets closer!